Each All-City bicycle starts out as a double butted chromoly steel frame, built from premium tubing such as 612 Select, Reynolds 853, or Columbus Zona. The Reynolds and Columbus tube sets are particularly drool-worthy; this is really the good stuff. All-City frames feature handbuilt touches such as internal cable routing, custom dropouts, lugged crown forks, reinforced bottle bosses, and hidden fender mounts. In addition to these high-end details, each frame is pretreated with an E.D. (Electrophoretic Deposition) coating inside and out. The E.D. coating prevents rust and makes the frames more durable. 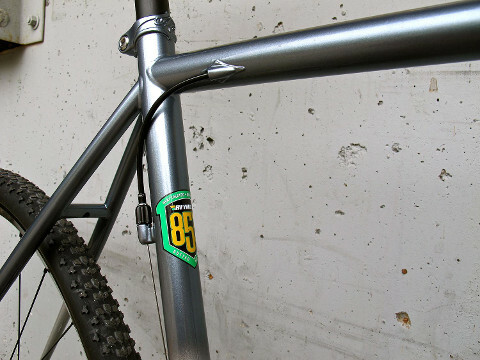 The bikes also get beautiful paint jobs and perfectly spec’ed components. All in all, All-City bikes offer classic construction, great performance, and timeless style. For our Fall Assortment, we’re stocking our favorite All-City ‘cross bikes: The Nature Boy, Nature Boy Disc, Macho Man Disc, and Macho King. The Nature Boy and Nature Boy Disc are stripped down single speed models, while the Macho Man Disc and Macho King feature 10- and 11-Speed drivetrains, respectively. Each model is race ready, designed around All-City’s proven cyclocross geometry, but the Macho King is the most well-appointed model of the lot. It features a frame made from Reynolds 853 tubing, a Whiskey 7 full carbon fork, and a high-end build featuring SRAM Rival and Zipp components. 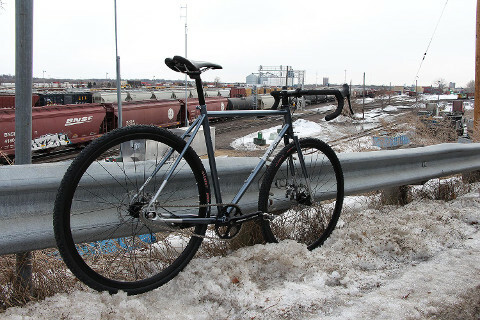 That said, one thing we love about cyclocross bicycles is that they are so good at doing dual duty as winter commuters. When you ride a ‘cross bike around the city you get speed, maneuverability, wide tires, and powerful braking. If your winter plans include biking over slippery New York City streets, you’ll be happy to have an All-City ‘cross bike between your legs. So whether you are looking for a podium-worthy race bike or a reliable commuter, Bicycle Roots has got you covered. Browse All-City bicycles in our online store, or stop by the shop to take a test ride. Our knowledgeable staff is ready to explain the differences between all the different models we have in stock, and help you find the one that is best for you. 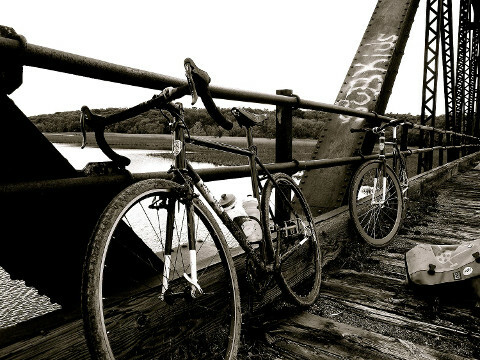 Bicycle Roots is your #1 source for all things cyclocross in Brooklyn. We stock cyclocross bikes by Giant and All-City, and we also sell custom cyclocross bikes by Gunnar and Waterford. We stock hard-to-find parts for all kinds of repairs, and yes, we glue tubulars! Best of all, our professional staff can provide expert advice to racers, commuters, and beginners alike. Stop by our store at 609 Nostrand Avenue in Crown Heights, Brooklyn, or shop online at www.bicycleroots.com. And party on!